Stainless steel 6oz flask in a black leatherette gift box.. The set comes with an included funnel and two shot glasses. 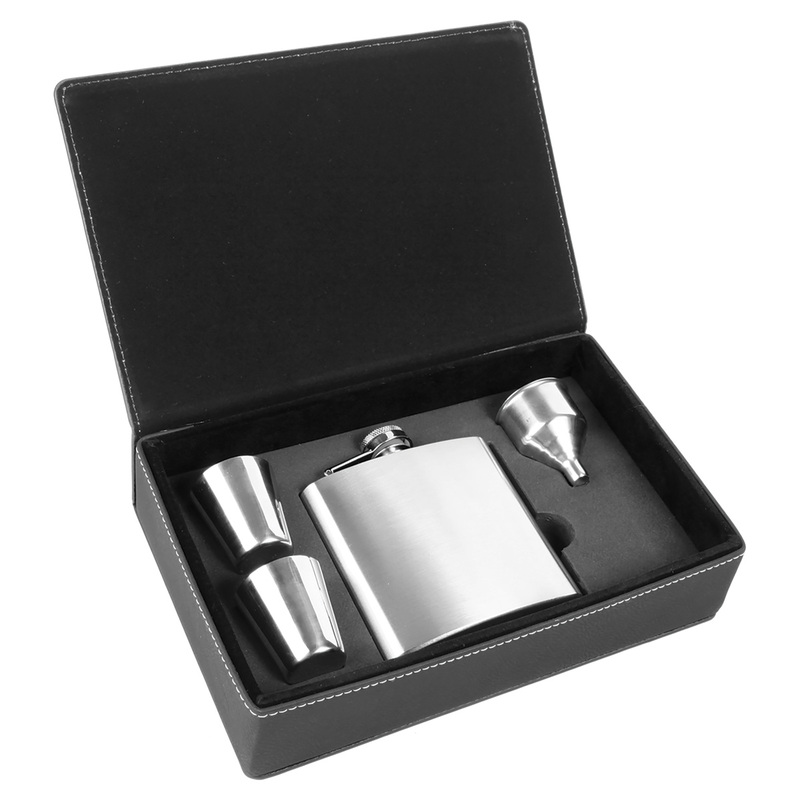 This beautiful flask is laser engraved with a permanent black imprint, while the box is imprinted in silver. 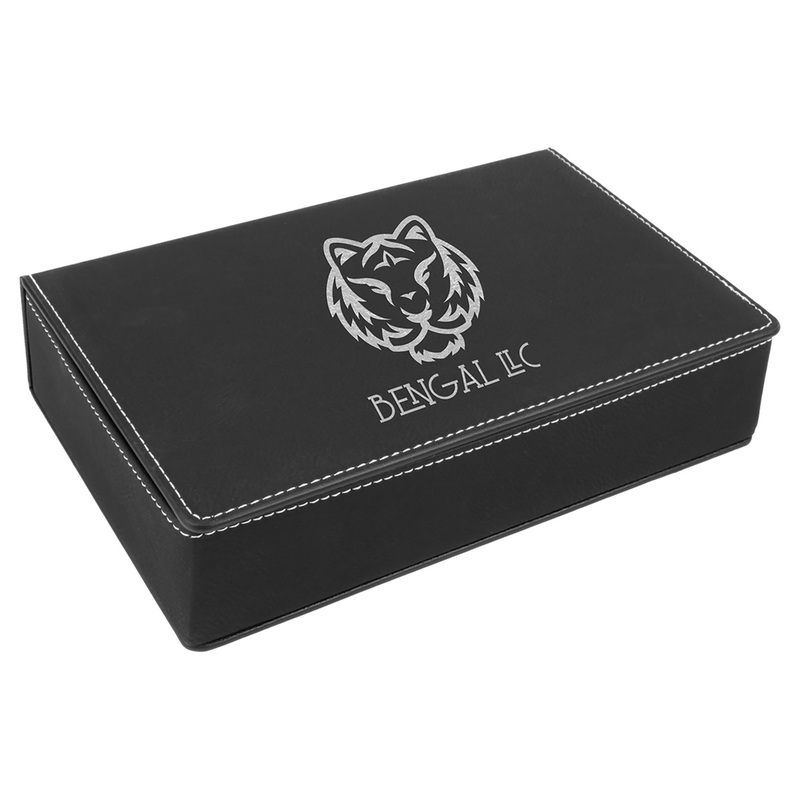 Comes individually boxed for a nice presentation. This is laser engraved with a black imprint. Imprint area is 2.5" x 2.5" on the front side of the flask. 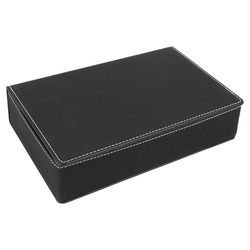 3" x 3" silver imprint on top of the box. $45 (G) setup fee.